When some think cars – they think Mercedes. When some think phones – they think Apple. When some think air conditioners – they think Panasonic. Panasonic is so synonymous with air conditioners, that may have something to do with them being the first company to mass produce them in 1958! And while times have changed, and the technology has most certainly changed, Panasonic’s steadfast commitment to proving excellent and quality air conditioners has not! Panasonic is very much a split system specialist, with several ranges and many models of all shapes and sizes. Let’s compare a few below. Very much on the premium end of air con options, the ECONAVI was created to prevent the waste of energy. Internal sensors measure the presence, movements, and absence of humans within the rooms and adjusts its output to suit! With a massive 14 models in the range, from 2.5kw to 8 – there’s an ECONAVI to suit most situations. Boasting the impressively named ‘nanoe-G’ technology, the system purifies the air around it using ions effective against air-borne viruses and bacteria. This system makes use of 0 cleaning agent as well, which makes it economical in every sense of the word! If you’re looking for the Rolls Royce of split systems, look no further. With each air conditioner in the series boasting ‘iAUTO-X’ and ‘AEROWINGS’ technology, you’re given premium tech at a reasonable price. iAUTO – X for example automatically switches blade speeds depending on the temperature of the room and the temperature you’ve set it to! Inverter technology means the more people around the air con, the harder it works! On the flip side, if there’s only one person in the room it can operate at a lower capacity while still providing excellent air conditioning. Living on the Sunshine Coast means you’ll probably never need to use the heating feature on most air cons, therefore the Panasonic Cooling Only Inverter makes the most sense, and there’s a large range to choose from as Panasonic has made over 15 different variations! Inverter Air Conditioners vary the rotation speed of their compressors, which means less energy used all while maintaining a set temperature. In addition, this means faster cooling as well. The Cool Only models come with ‘AEROWINGS’ (a feature that makes use of twin blades to produce ‘shower cooling’ which can cool a room in record time). 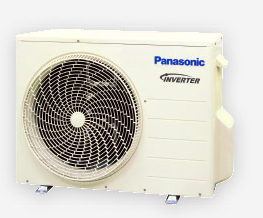 If your home or office has multiple rooms that need cooling, linking them all up to a single Panasonic multi-split inverter system is your best. A multi-split system means a single outdoor unit can power up to five indoor units! They’re easy to control, as the above listed are compatible with almost all Panasonic systems! Having been in the game for nearly eight decades, there’s no stronger name in the world of air conditioning than Panasonic. The appliance giant provides quality throughout its impressive range. With amazing features like shower cooling technology, razor-sharp intelligent sensors and an impressive and varied range – one can easily see why many Aussies have stuck with the trusted name in air conditioning! If you’re still unsure what type suits your house, feel free to give us a call or check out our installation page here. With the reputation comes the price tag, but quality always has a price! While in no way a budget option, Panasonic has cemented its air conditioning legacy in Australia and beyond. Panasonic, while not a budget air con brand by any means, has cemented its air conditioning pedigree in Australia. 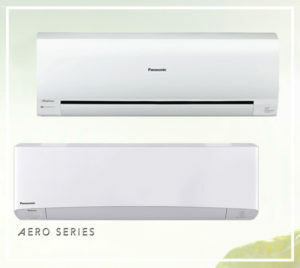 Available in a wide variety of configurations and power capacities, there’s like a Panasonic air con out there that’s right for you and your home.